HIke up Mount Ijen and witness the amazing blue fire. Feast on Batavian chicken porridge. Discover the signature fish cake of South Sumatera. Watching the sun rise over Mt. The Selamat Datang Monument is lit up brightly in central Jakarta. If you want to explore the very essence of Indonesia, then a trip to Java is inevitable. The heart of the country is unmistakably a land of superlatives: not only is Java the most populous island in the world, it is also home to oldest Buddhist sacred sights and several largest Indonesian cities. Due to its sheer size and immense tourist offer, you can rest assured holidays in Java will be filled with adventures of all kinds. Jakarta is the capital and the largest city in Indonesia. This is a bustling megalopolis which offers all kinds of landscapes, from sleek, dizzying high-rises to colorful, open-air markets. See Top Things to do in Jakarta to find out how to spend your time in Indonesia's capital. Borobudur is the largest Buddhist temple in the world one of Indonesia’s most famous landmarks. This 8th-century construction is composed of five squared terraces, three circular platforms and a towering stupa. Nestled on the southern coast of Java, Parangtritis is a popular seaside resort for locals and tourists alike. The beautiful sandy beach is framed with mesmerizing hills, lush greenery and crystal-clean waters. Mount Bromo is the most impressive volcano on Java, standing at 2329 meters above ground. The most active volcano on the island also hold a sacred meaning for the local population. 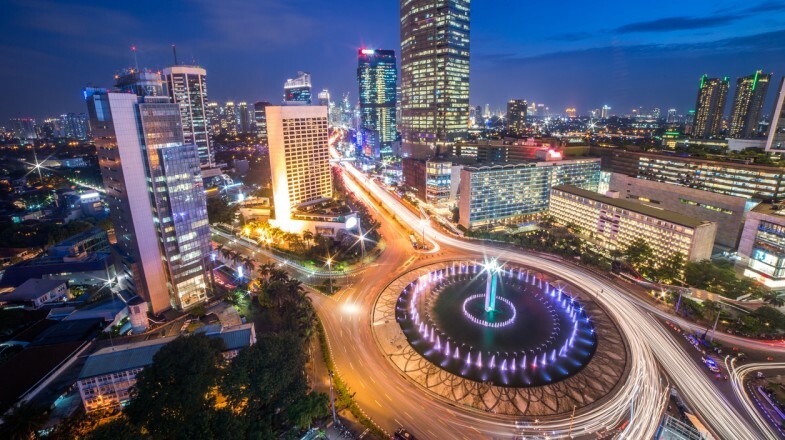 The most convenient gateway for exploring Java is the country’s capital, Jakarta. The three-terminal Soekarno Hatta International Airport operates flights by a number of major international airlines, including Air France, Etihad Airways, Cathay Pacific, Singapore Airlines and others. When it comes to travelling long distances within the island, buses are your best bet. Java also has an extensive railway network, which connect the capital of Jakarta with a number of cities and towns on the island. Temperatures in Java don’t tend to vary greatly, and the weather is generally hot and humid year-round. However, the climate can roughly be divided into dry and wet season. To ensure your holidays are filled with clear skies and sunny days, visit the island during the dry season, which runs from May to September.